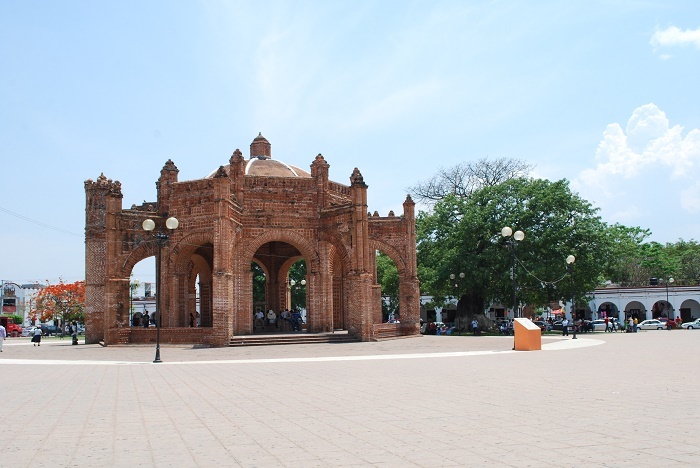 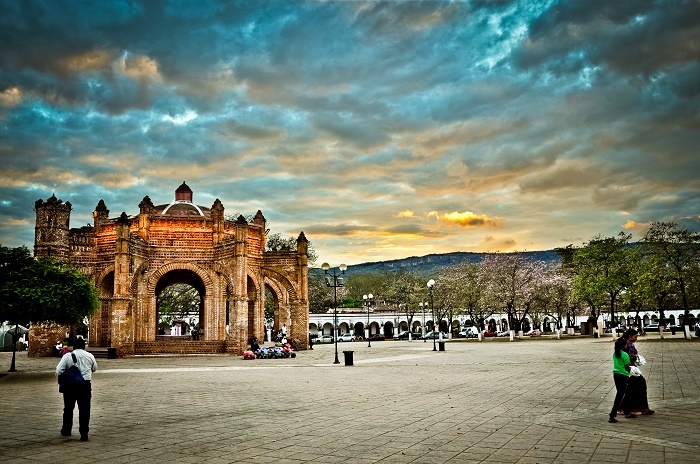 La Pila Fountain is an impressive historic fountain that is located at the center of the of the Chiapa de Corzo Square, in the northeastern part of the small city of Chiapa de Corzo, in the State of Chiapas, within the United Mexican States. 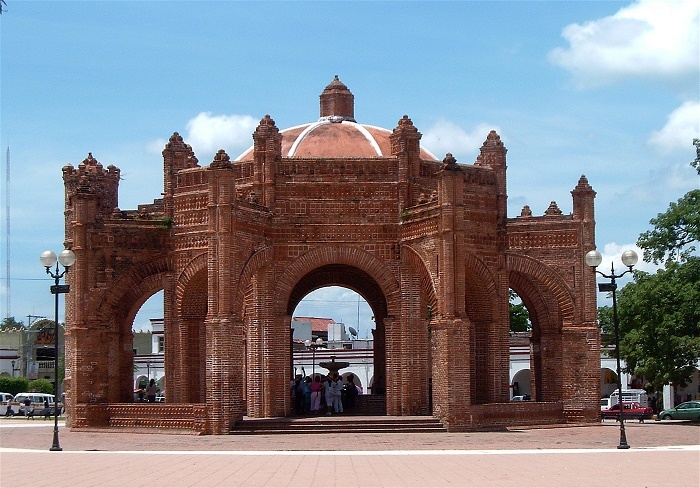 This majestic fountain follows the Moorish style of construction, and it was built in 1562 with bricks in the form of an octagonal diamond, making this architectural piece a unique masterpiece of Spanish-Arab architectural art. 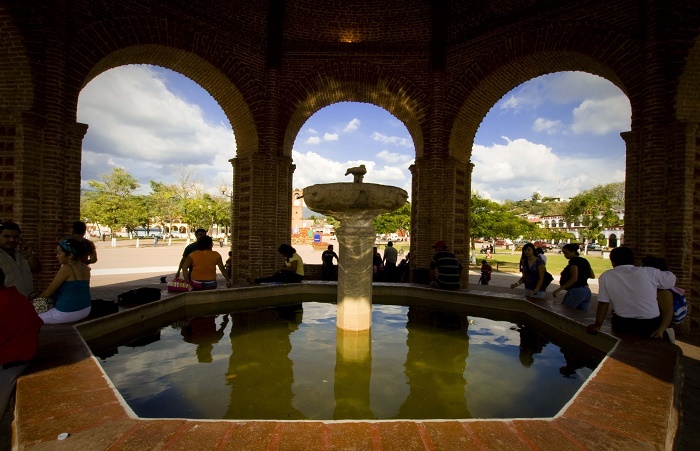 According to some historians, the fountain was designed by the Dominican churchman, Father Rodrigo de León, however, as he did not see his art being completed, it was finished by the Spaniards. 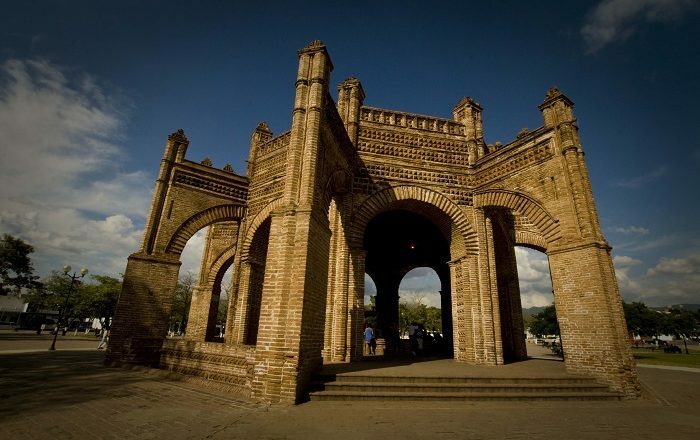 Measuring at some 52 meters (171 feet) in circumference, with 12 meters (39 feet) in height, there are eigh arches with a cylindrical tower which occasionally functioned as a watchtower. 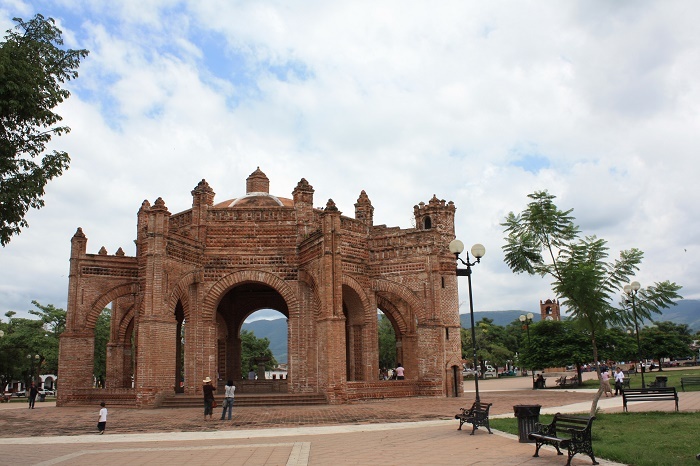 More precisely, the entire structure rests on an octagonal platform, shaped by a vault built on columns and buttresses, and the design has brocade under the vault divided by nervures. Serving as a gathering place for the locals, it is also used as a water supply for the city, nonetheless, La Pila Fountain achieves architectural harmony with elements derived from Muslim art such as the octagonal base shape and the brick work, and the Renaissance-inspired vault and some structural elements derived from the Gothic. 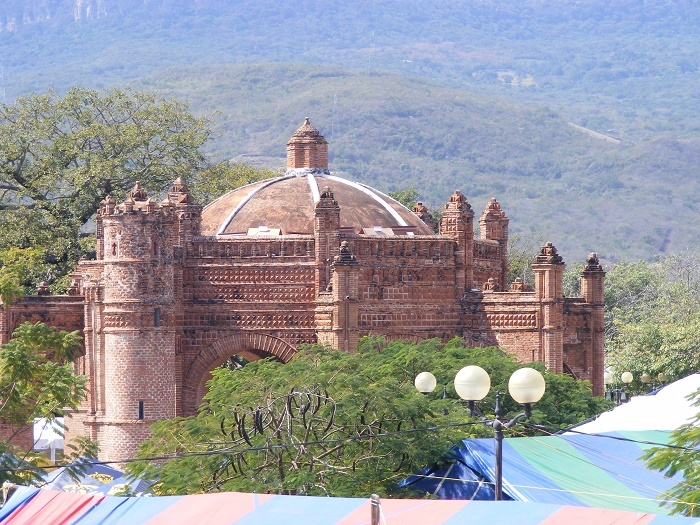 Being extremely unique and so far, single structure of its kind, a trip to Chiapa de Corzo in the south of Mexico is definitely a must, just to see this alluring and greatly stupendous art sculpted in a majestic fountain.